Floyd McNair, 96, a resident of Brandon, MS passed away Saturday, November 3, 2018 at Merit Health River Oaks in Flowood, MS. There will be private services held for Mr. McNair. 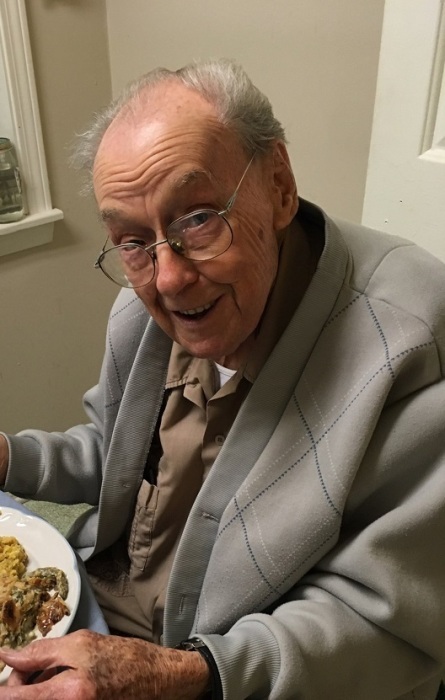 Arrangements have been entrusted to the care of Ott and Lee Funeral Home in Brandon, MS.
Mr. McNair was born October 9, 1922 to Andrew McNair and Margaret Emily McKee McNair. He was married to Mamie Sue Langley McNair. He worked as a hospital administrator many years before retiring. He loved his family very much and spending time with them brought great joy to his life. He will be missed by all who loved and knew him. Mr. McNair was preceded in death by his wife, Mamie Sue Langley McNair and his parents, Andrew McNair and Margaret Emily McKee McNair. Mr. McNair is survived by his children, Stephen (Denise) McNair and Robert McNair; sister, Floyce McNair Watkins; three grandsons, Andrew McNair, Alex McNair and Patrick McNair and a host of friends.